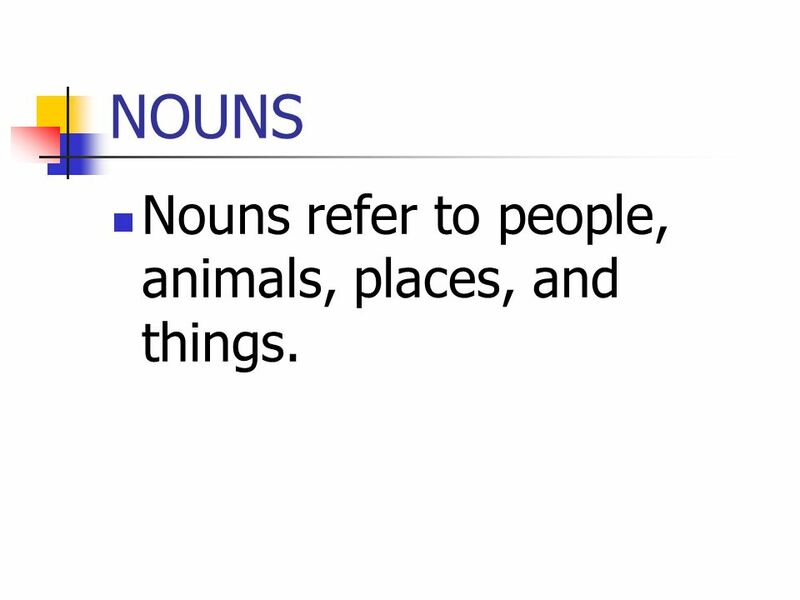 2 NOUNS Nouns refer to people, animals, places, and things. 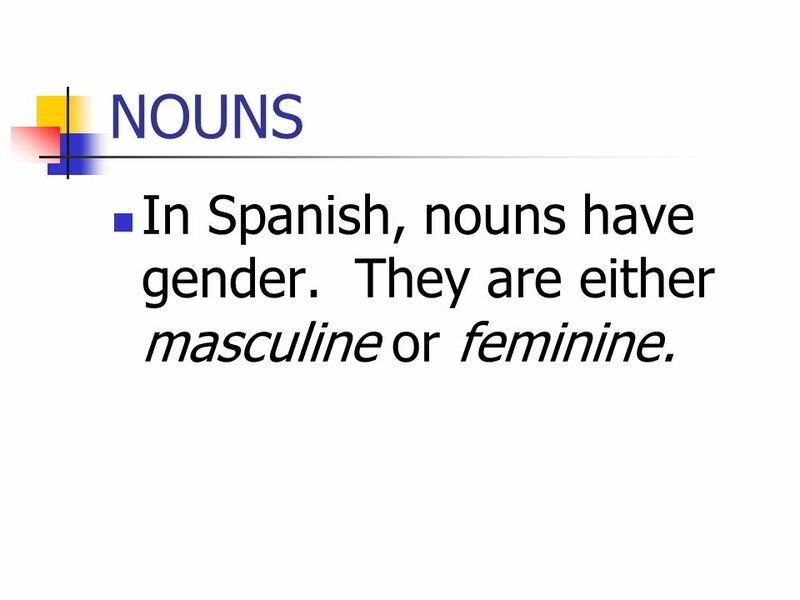 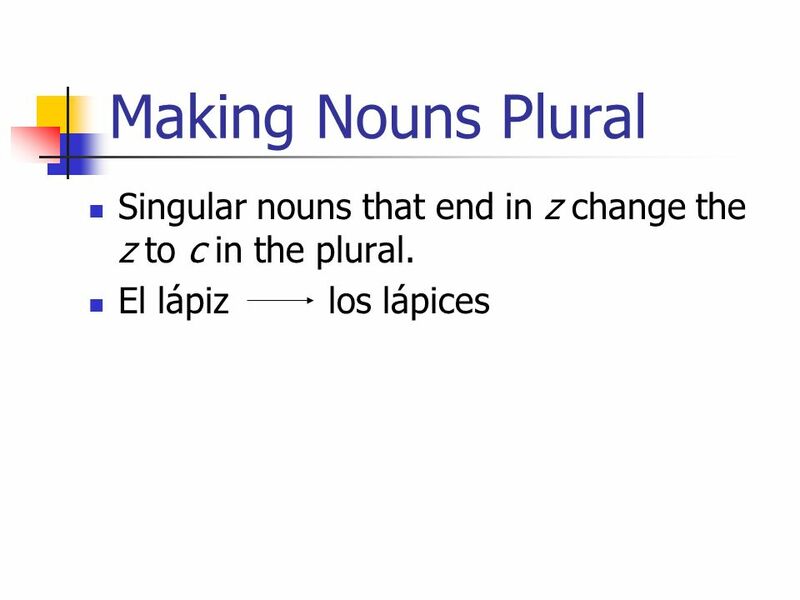 3 NOUNS In Spanish, nouns have gender. 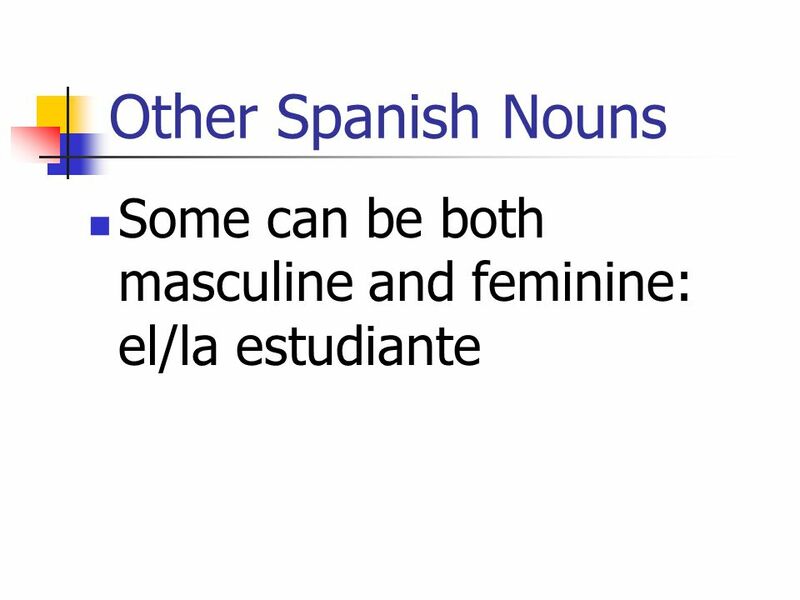 They are either masculine or feminine. 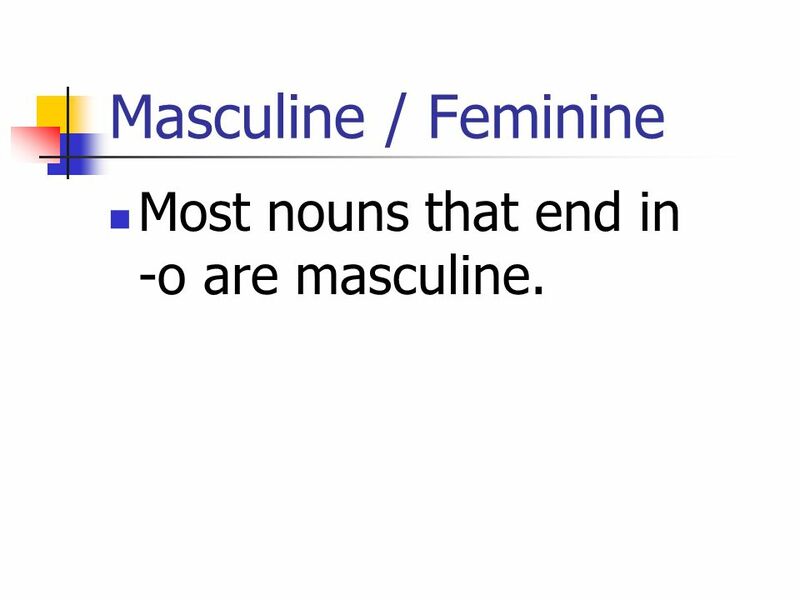 4 Masculine / Feminine Most nouns that end in -o are masculine. 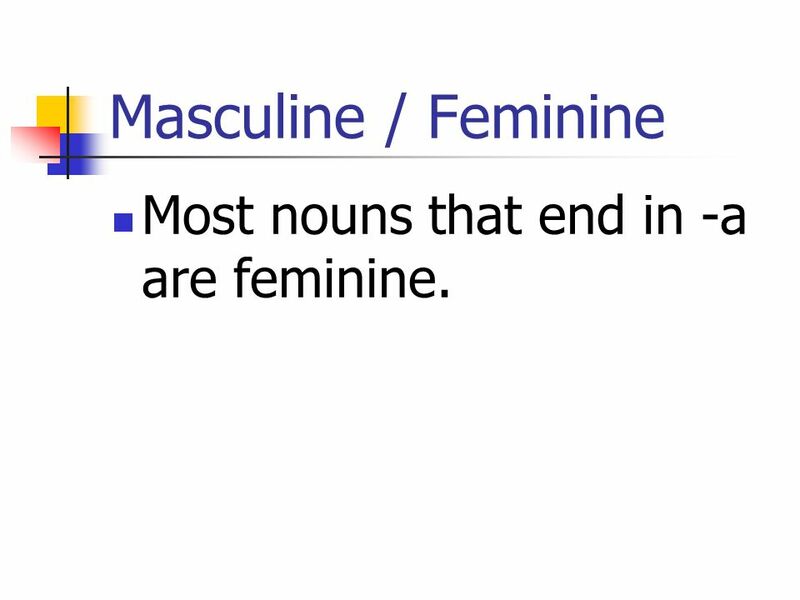 5 Masculine / Feminine Most nouns that end in -a are feminine. 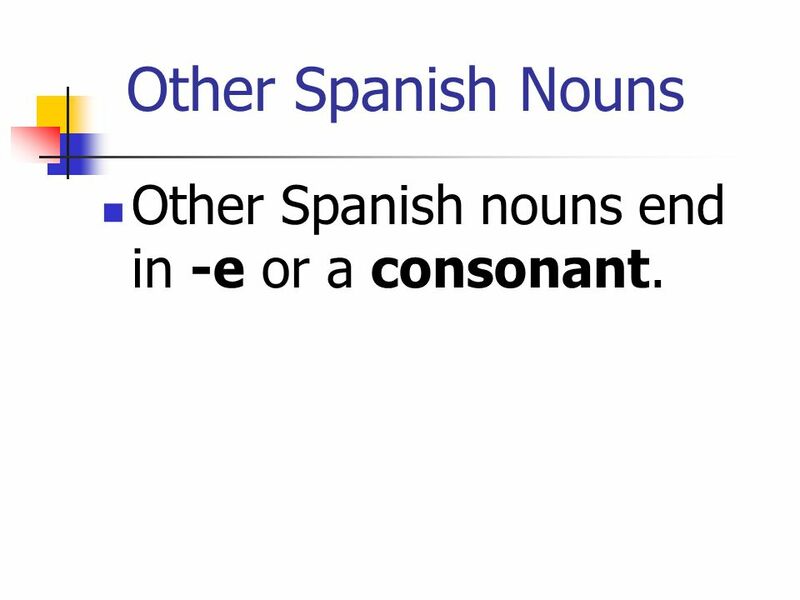 7 Other Spanish Nouns Other Spanish nouns end in -e or a consonant. 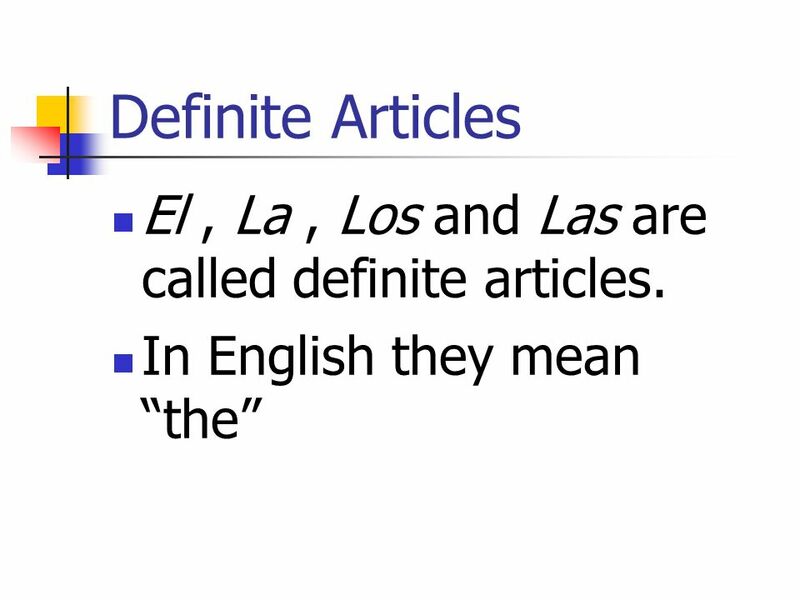 12 Definite Articles El , La , Los and Las are called definite articles. 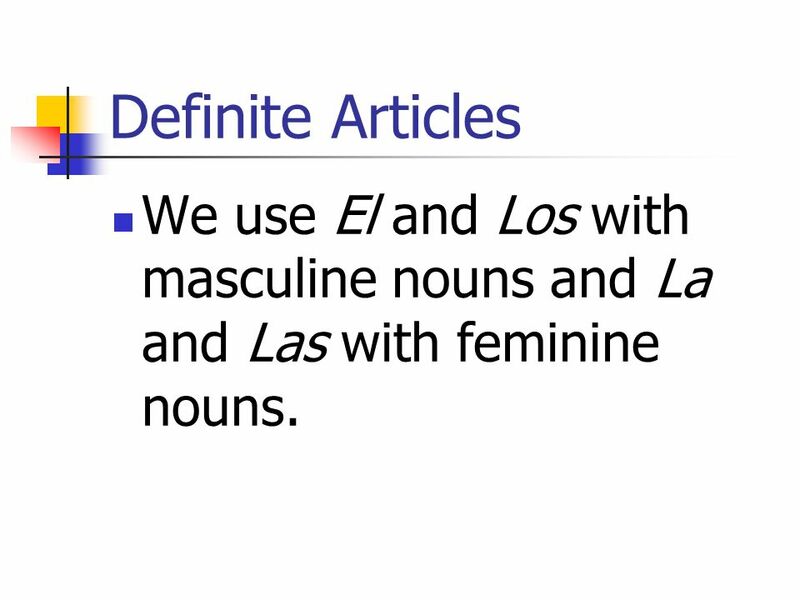 13 Definite Articles We use El and Los with masculine nouns and La and Las with feminine nouns. 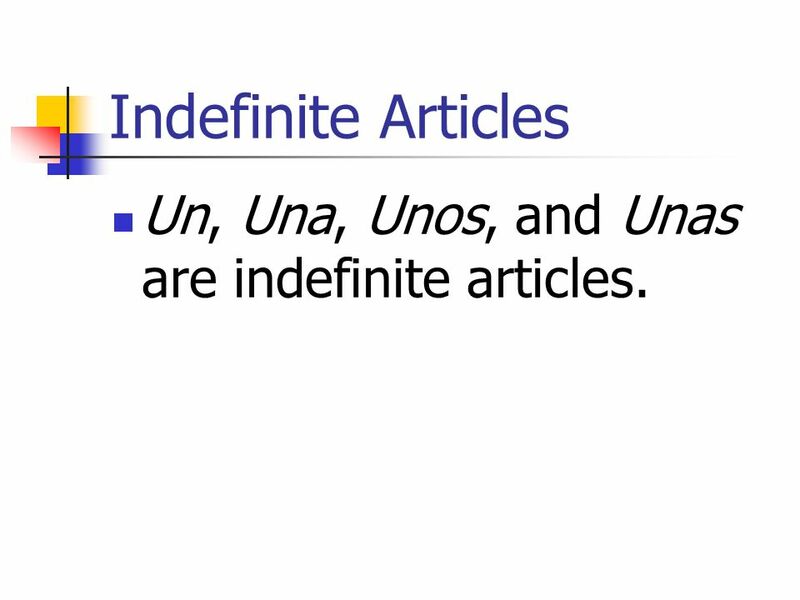 14 Indefinite Articles Un, Una, Unos, and Unas are indefinite articles. 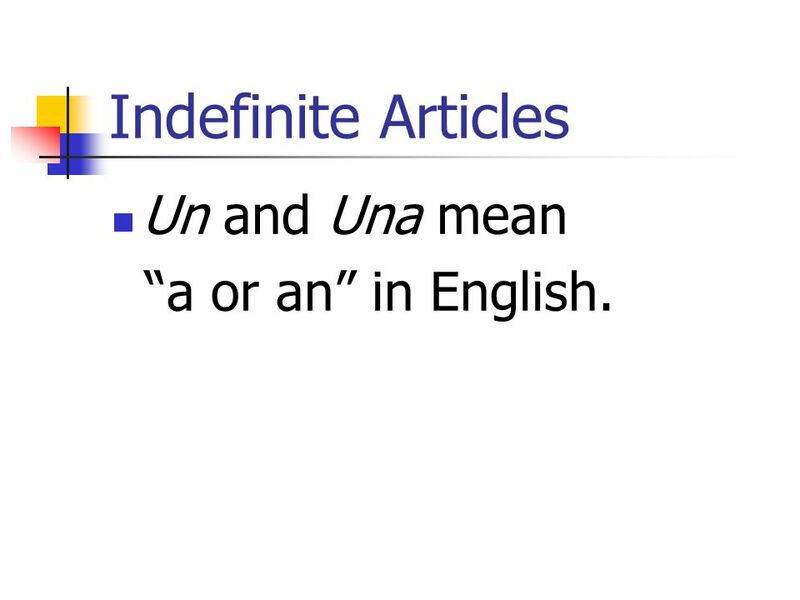 15 Indefinite Articles Un and Una mean “a or an” in English. 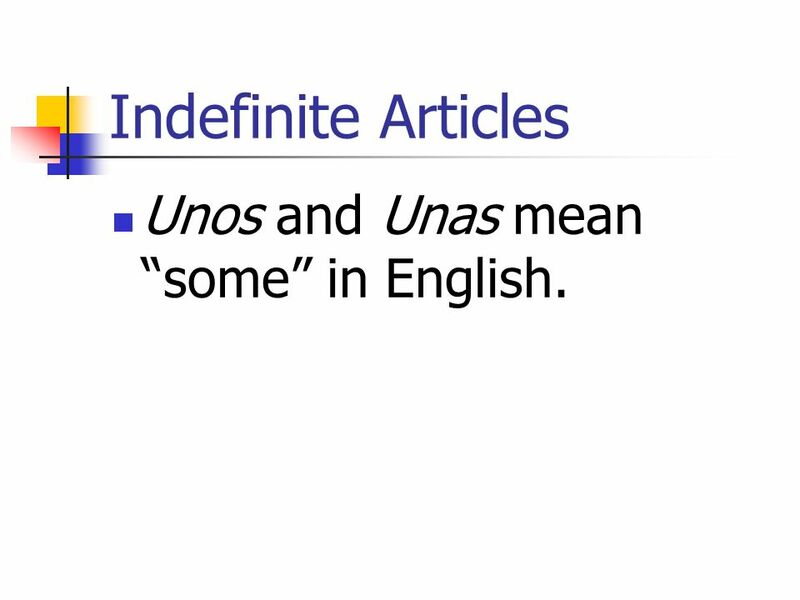 16 Indefinite Articles Unos and Unas mean “some” in English. 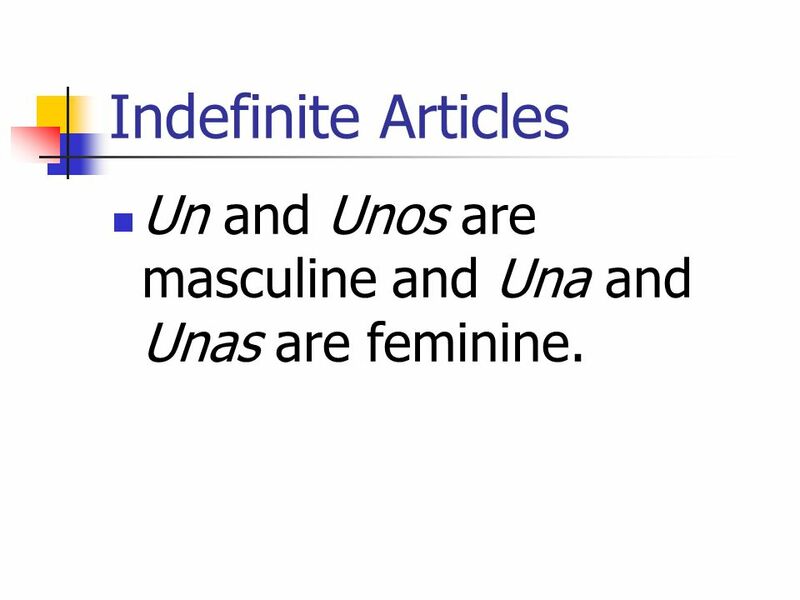 17 Indefinite Articles Un and Unos are masculine and Una and Unas are feminine. 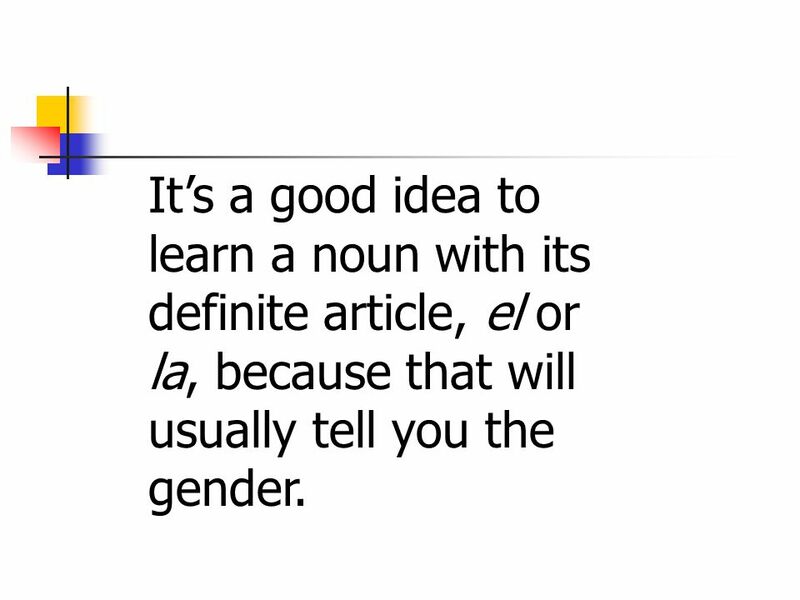 18 It’s a good idea to learn a noun with its definite article, el or la, because that will usually tell you the gender. 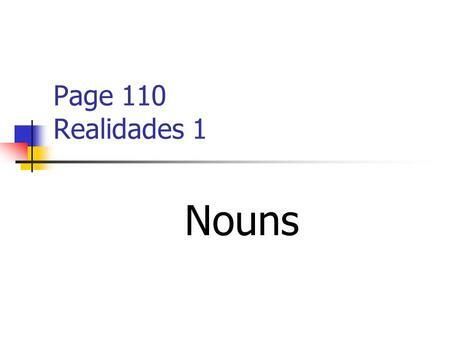 Download ppt "Page 110 Realidades 1 Nouns." 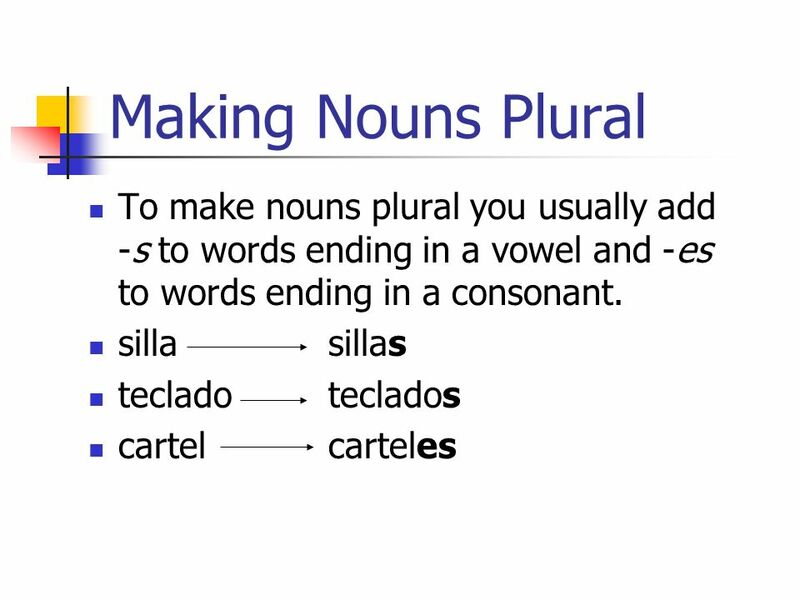 2 types of Articles The English word THE is called a ( Definite Article ) because it is used to refer to a Definite or Specific person or thing. 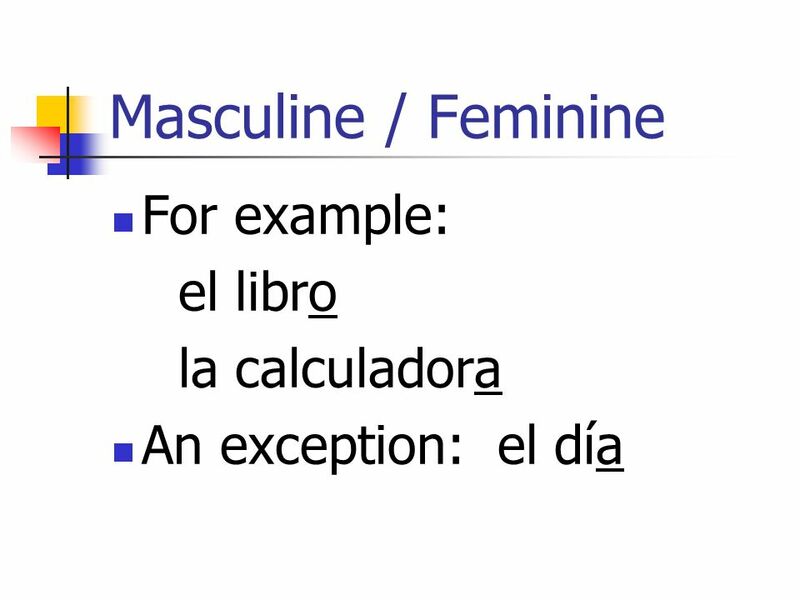  The. 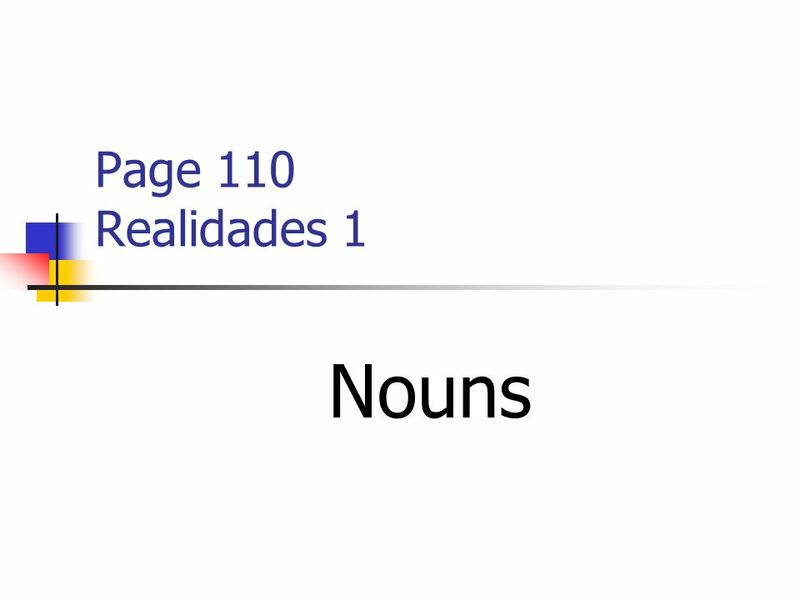 Definite Articles P. 60 (online) Realidades 1 Definite Articles u Nouns refer to people, animals, places, things, and ideas. 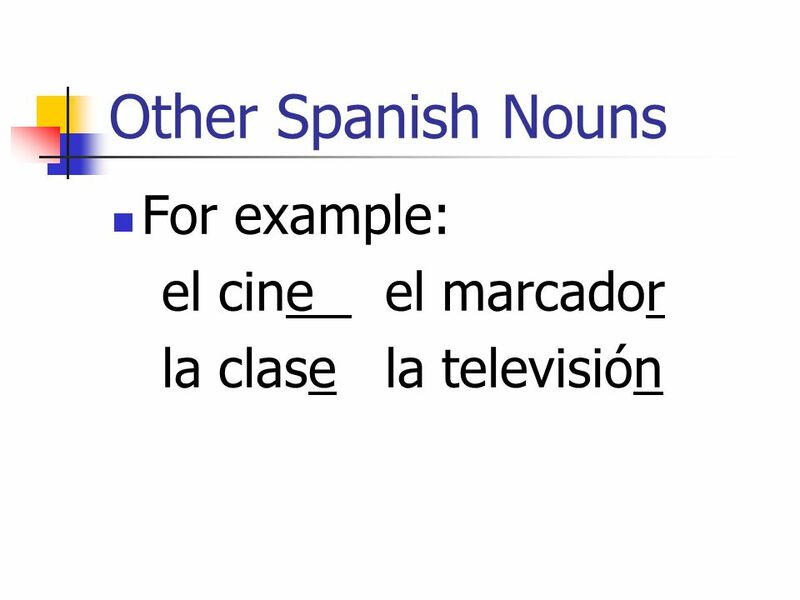 u In Spanish, nouns have.